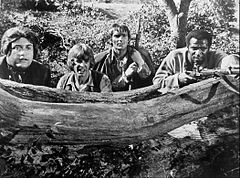 The Young Rebels is an American adventure series that was broadcast by ABC as part of its 1970 fall lineup on Sunday night at 7:00 p.m Eastern time. The Young Rebels was the story of a group of youthful guerrillas fighting on the Patriot side in the American Revolutionary War. 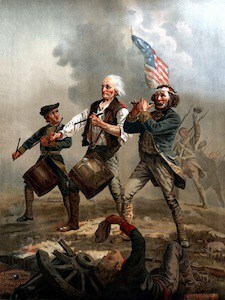 They were part of the fictional “Yankee Doodle Society”, based in Chester, Pennsylvania, in 1777. Their goal was to harass the British forces however they could and serve as spies for the rebels. 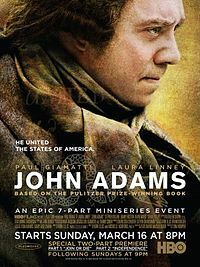 The four main characters were Jeremy (Richard Ely), son of the mayor of Chester, Isak (Louis Gossett, Jr.), a former slave, Henry (Alex Henteloff), a bright young, bespectacled man who looked a lot (by design) like a younger Benjamin Franklin, whom he greatly admired, and Elizabeth (Hillary Thompson), Jeremy’s even-younger girlfriend. Any parallel between this “youth movement” and the one going on in the United States in real life at the same time that this show was aired was completely intentional. Aiding these young American rebels in their cause was a young French rebel, the Marquis de Lafayette (Philippe Forquet), who had come to their aid not just because he believed in their cause but also to learn how to export many of its principles to his native France. During the early 1970s, there were only three commercial television networks in the United States. The Young Rebels was up against the very popular family shows Lassie and Walt Disney World on the other networks. Rick Ely and Philippe Forquet became teenage idols and were widely featured in movie and fan magazines. Despite extensive promotion and a large (by television standards of the era) production budget, The Young Rebels failed to garner enough of an audience and was canceled at midseason.